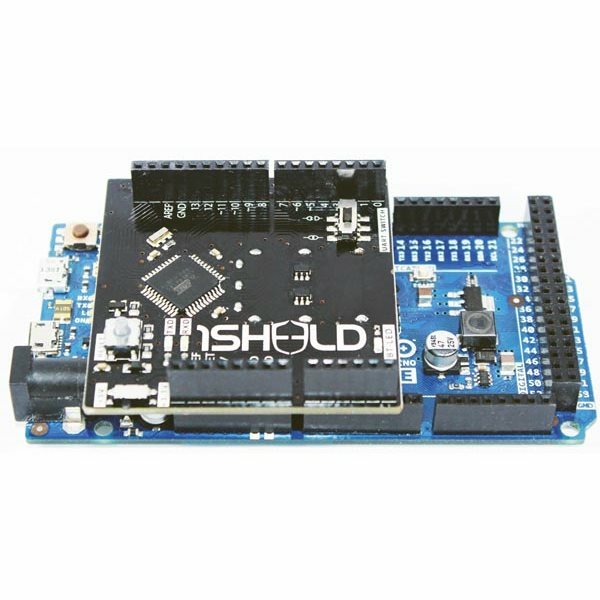 The Reconfigurable 1Sheeld Arduino Shield for Smartphones allows your Arduino compatible microcontroller to access devices on your Android smartphone. 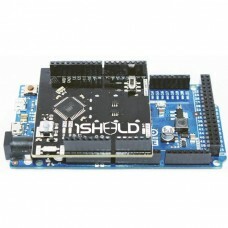 The 1Sheeld is an Arduino shield that can be configured to work as a large number of virtual shields by connecting wirelessly to a smartphone app. Your Arduino will be able to access the smartphone's touchpad, LCD display, speaker, gyroscope, accelerometer, magnetometer, GPS, and other hardware features. It can also use smartphone services like Facebook and Twitter. The 1Sheeld can be reconfigured to act as more than 40 virtual shields via the smartphone app. Virtual hardware shields include a Keypad Shield, Buzzer Shield, Camera Shield and Gyroscope Shield. Virtual service shields include an Internet Shield, Email Shield, Twitter Shield and Facebook shield. Utility shields include a Text to Speech Shield, Data Logger Shield and Terminal Shield. You can even use the 1Sheeld to remotely control your robot. The reconfigurable 1Sheeld works by utilizing Bluetooth to communicate wireless with your smartphone. 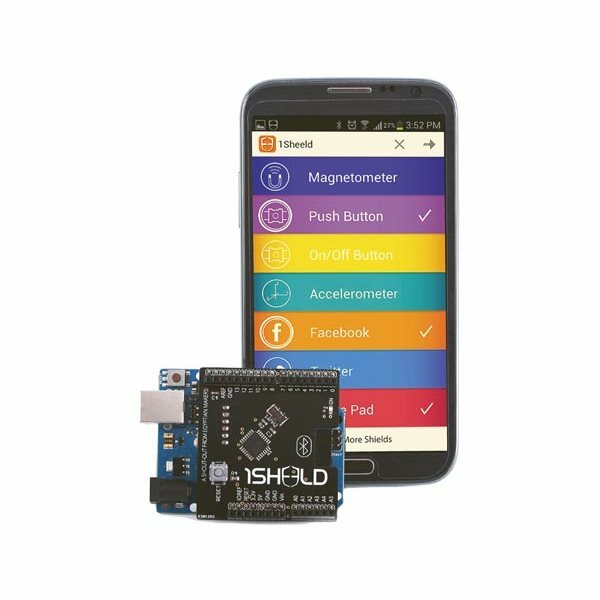 A special smartphone app provides a wide variety of virtual shields for your Arduino to interact with. The shield can be configured to work with 3V and 5V Arduino compatible microcontrollers such as the Arduino Uno, Leonardo, Due, Mega etc. This shield supports Android smartphones. Your phone must support BLE Bluetooth Low Energy 4.0 or higher. An Arduino library is available. An Android SDK is also available for building your own 1Sheeld compatible Android app.